While Lodi is known for its Zinfandel bottles of wine, we go to Berghold Vineyards for their Lodi Syrah. Yes, they have good Zinfandel and they also have very good Cabernet Sauvignon, Syrah and Viognier. During a recent visit proprietor Joe Berghold poured us a bottle of his 2012 Foot Stomp Zinfandel and told us the story of how he became a winemaker. Joe had worked for Southern California companies for years, saying he had done well, “But the failures in life would take a couple of hours to tell, while my successes would take about 10 minutes.” And then he tells the story of how he came to being a winemaker. His daughter was living in Lodi, renting a house in a vineyard. She called one day to tell him the house was for sale, asking if he was interested in buying it. It turned out the entire vineyard could be purchased for just a few dollars more, so he bought the entire estate in 1986. The only problem was it was planted with Tokay and Pinot Grigio grapes, hardly a noble grape to be seen. He eventually bought land around him and started planting more notable grape, like Syrah, Cabernet Sauvignon and Viognier. The 85 acres he collected produced grape sold to other winemakers. In 1999 he and his wife Kay produced their first Syrah bottle of wine, followed the next year by a bottle of Viognier. 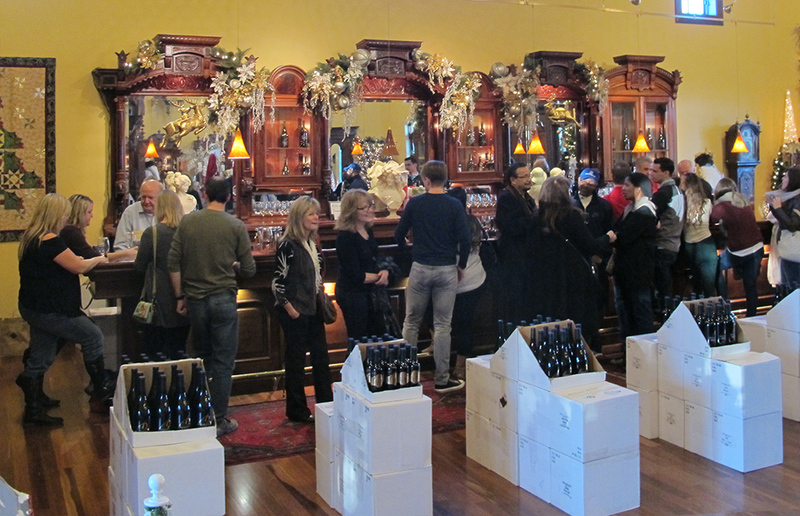 Being antique collectors as well they decorate their large tasting rooms with Victorian collectibles. We’ve seen it at Christmas and it’s always a sight to see, with 6 foot Santas (and Mrs. Claus), player organs and all form of Victorian antiques. One of their specialties is the 2012 Crankcase. It’s one of their priciest wines and always seems to be on the verge of selling out. It’s a blend of four varietals and they keep it secret. However when we asked Joe if it had Mourvedre, Merlot, Cabernet and Syrah in it, he jokingly claimed it was too noisy in the wine room he couldn’t hear us. Alas, we’ll never know for sure. A special note about their aerating technique. We recently wrote about this, criticizing wineries for aerating their wines without encouraging customers to do the same at home. Aeration greatly changes the texture, fruit and the boldness of wine (or any other beverage poured through one.) As an example, it will strip the ‘oaky butter’ right out of a Chardonnay and Jack Daniels becomes approachable. All of the wine Berghold pours in their tasting room is aerated and you should do the same (except the 2009 Syrah/Merlot blend.) They sell the Menu Blade Aerating Pourer in the tasting room, but there was no discussion of it with guests. We suggest they offer an aerator to customers purchasing bottles of wine, so that their experience at home will be the same as in the Berghold tasting room. To see our aerator of choice, you may read about Hailey’s Corker in our critiques. You’ll find Berghold on the east side of Lodi’s downtown on 17343 N. Cherry road. 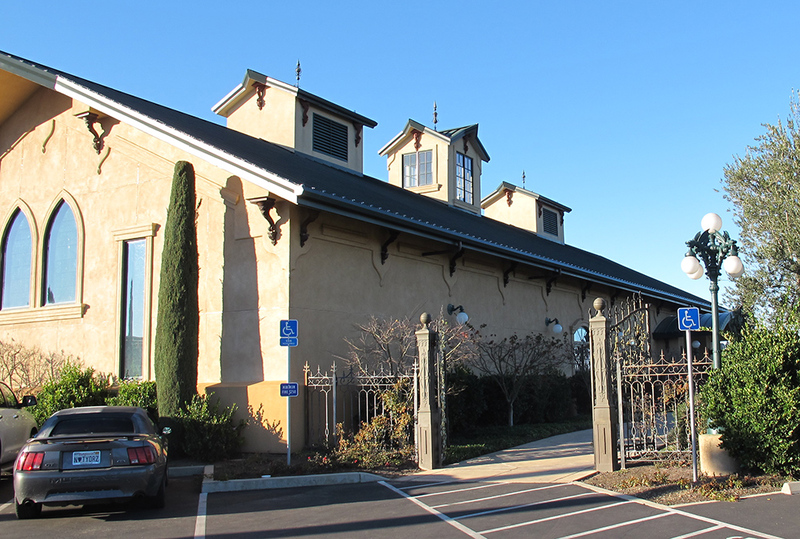 This entry was posted in Blend, Cabernet Sauvignon, Lodi AVA - Home to 80 Wineries, Lodi South Eastern Quadrant Day Tours, Merlot, The Pleasures of Tasting Wine, Zinfandel and tagged berghohld, bottle of wine, california, lodi, wine, wine tasting room, wineries.